Shoufay Derz is fresh from her career development grant travels, courtesy of the Australia Council. 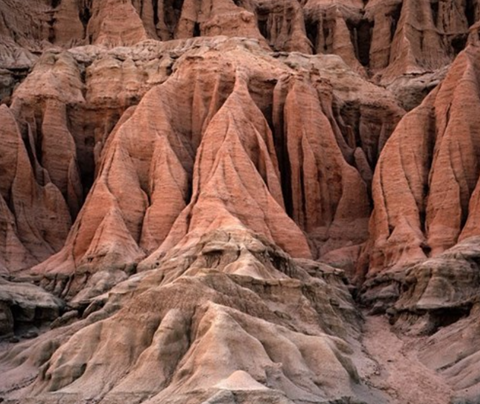 She presents new work inspired by the USA’s Badlands and the chalk cliffs of Rügen, Germany. This Northern Beaches-based, multi-disciplinary artist has explored monumental eroded landscapes to generate what she calls ‘luminous voids,’ a visual poetry of the unknown.